There are many considerations before taking on an exotic. Is it legal to own? 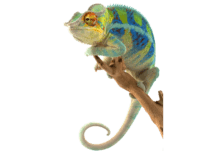 Pets like “sugar gliders” (small, nocturnal gliding possums) and chameleons only recently became legal to own in Mass., although they have been available in neighboring states for years. What is the lifespan? Although some “pocket pets” like hamsters only live a few years, there are many species that live decades. Parakeets and bunnies are living longer, many into their teens. Some larger parrots and many turtles and tortoises outlive their owners. As with any pet, consider adoption as an alternative to purchase. It’s generally better to adopt from a reputable shelter, breeder, or pet store than from an unknown individual on an Internet site. It’s critical to research the type of pet before bringing it home. The large majority of medical problems occur because animals are housed or fed inappropriately. For example, rabbits used to be housed more frequently in outdoor hutches. Now most rabbits are housed indoors, in multitiered cages or pens. They can be litter box trained and allowed exercise around the home when supervised. Rabbits can become overweight from eating too many pellets or sugary treats or have gastrointestinal problems from not having enough hay in their diet. Guinea pigs have similar needs and also have a dietary requirement for Vitamin C. Pets with medical conditions may need specific dietary restrictions. Reptiles have unique housing and dietary requirements. Each species is different! Reptiles thrive in particular temperature and humidity zones. What works for a desertdwelling lizard will not work for one from the Tropics. When reptiles are housed in the wrong kind of set-up, their immune systems become compromised, setting them up for disease. Most reptiles also require specific lighting in an attempt to simulate natural sunlight. All of the bird patients we see have particular nutritional needs, too. Whatever the species, it’s important to set up an initial consultation and exam with your veterinarian.